Should commands in scripts have their full path hardcoded or not? Or phrased slightly differently, should you use /bin/echo or just echo in your admin scripts? Why can’t I just use the command? The shell will look through these directories in order for the given command. Third party applications and tools can and will modify your PATH. You yourself might want to change your PATH in your shell profile. But on top of that, the PATH will be different in different contexts. For example, open the Script Editor application, make a new script document, enter do shell script "echo $PATH" and run the script by hitting the run/play button. Note how the PATH in this context is different from the default macOS PATH in Terminal and also different from your PATH. Which is yet another, different PATH. The PATH may be different in different contexts that your script may run in. That means we cannot be consistently certain if a command will be or which command will be found in a script in different contexts. This is, obviously, bad. Mac system adminstrative scripts which can run in unusual contexts, such as the Login Window, NetInstall, the Recovery system or over Target Disk Mode and usually run with root privileges. You really want to avoid any uncertainty. Both are valid and have upsides and downsides. They are not exclusive and can be both used in the same script. Note: the which command evaluates the path to a command in the current shell environment, which as we have seen before, is probably different from the one the script will run in. As long as the resulting PATH starts with one of the standard directories (/usr/bin, /bin, /usr/sbin, or /sbin) you should be fine. But if a different PATH is returned you want to verify that the command is actually installed in all contexts the script will run in. Using full paths for the commands works for MacAdmin scripts because Mac administrative scripts will all run on some version of macOS (or OS X or Mac OS X) which are very consistent in regard to where the commands are stored. When you write scripts that are supposed to run on widely different falvors of Unix or Linux, then the location of certain commands becomes less reliable. so if you are using full command paths, you should use if /bin/[ … instead of if [ …. The downside of hardcoding all the command paths is that you will have to memorize or look up many command paths. Also, the extra paths before the command make the script less legible, especially with chained (piped) commands. If you want to save effort on typing and maintenance, you can set the PATH explicitly in your script. Since you cannot rely on the PATH having a useful value or even being set in all contexts, you should set the entire PATH. Note: any environment variable you set in a script is only valid in the context of that script and any sub-shells or processes this script calls. So it will not affect the PATH in other contexts. This has the added benefit of providing a consistent and well known PATH to child scripts in case they don’t set it themselves. The downside of this is that even with a known PATH you cannot be entirely sure which tool will be called by the script. If something installed a modified copy of echo in /usr/bin it would be called instead of the expected /bin/bash. However, on macOS the four standard locations (/usr/bin, /bin, /usr/sbin, /sbin, as well as the less standard /usr/libexec) are protected by System Integrity Protection (SIP) so we can assume those are ‘safe’ and locked down. 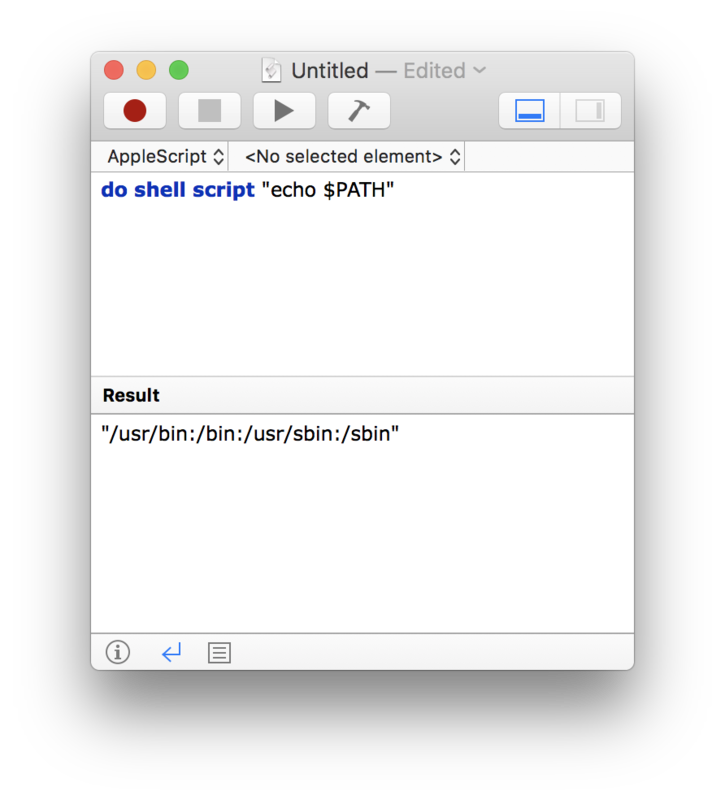 But notice that I do not include /usr/local/bin when I set the PATH for my scripts, even though it is part of the default macOS PATH. The PATH seen in the installer context does not include /usr/local/bin, either. /usr/local/bin is a standard location where third party solutions can install their commands. It is convenient to have this directory in your interactive PATH under the assumption that when you install a tool, you want to use it easily. However, this could create conflicts and inconsistent results for administrative scripts. For example, when you install bash version 4, it will commonly be installed as /usr/local/bin/bash, which (with the standard PATH) overrides the default /bin/bash version 3. Since you chose to install bash v4, it is a good assumption that you would want the newer version over the older one, so this is a good setting for the interactive shell. But this might break or change the behavior of administrative scripts, so it is safe practice to not incluse /usr/local/bin in the PATH for admin scripts. Since the third party folders are not protected by SIP, it is safer to append them to the PATH, so they cannot override built-in commands. Another solution that is frequently used for single commands with long paths is to put the entire path to the command in a variable. This keeps the script more readable. 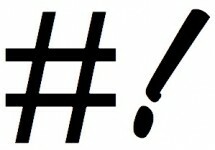 Note: that you need to quote the variable when the path to the command contains spaces or other special characters. As a system administrator it is important to understand the many contexts and environments that a script might be run in. Whether you choose to write all command paths or explictly set the PATH in the script is a matter of coding standards or personal preference. You can even mix and match, i.e. set the PATH to the ‘default four’ and use command paths for other commands. My personal preference is the solution where I have to memorize and type less, so I set the PATH in the script. Either way you have to be aware of what you are doing and why you are doing it.